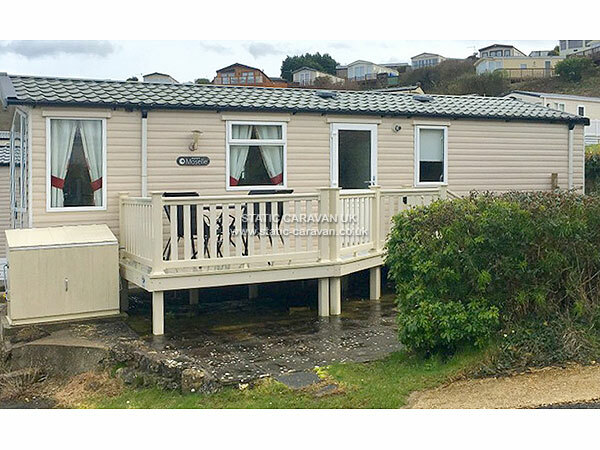 Our comfortable Swift Moselle caravan is sited on the well loved Swanage Bay View Holiday Park. 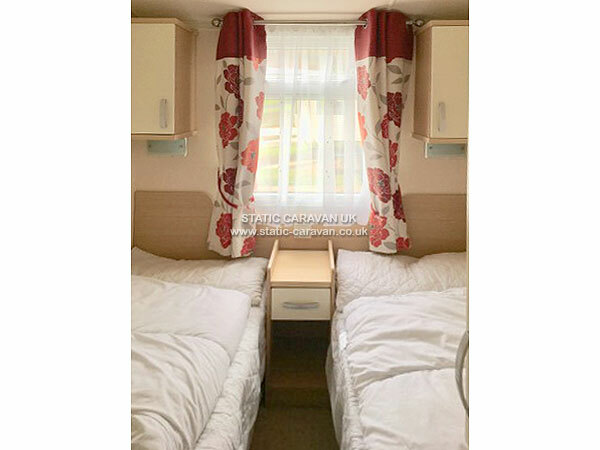 With a double bedroom, smaller twin bedded room with 70cm wide single beds and a sofa bed the caravan can accommodate up to 6 people. 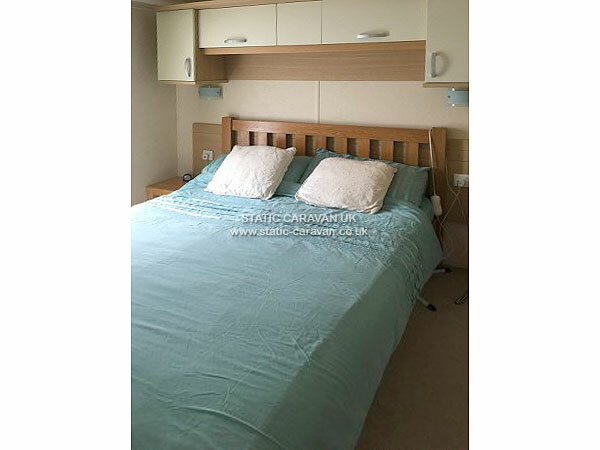 The bedrooms have electric heating. 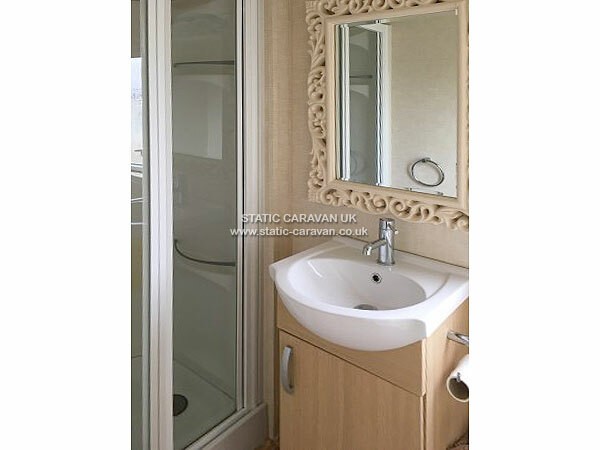 There is a shower room with thermostatically controlled shower, wash basin and toilet. 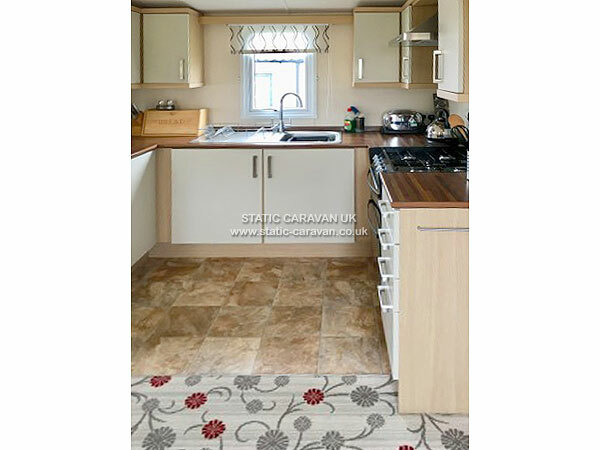 The caravan is well equipped with fitted kitchen which has a gas hob and gas oven, microwave, fridge/freezer and plenty of utensils, cutlery and crockery. A welcome pack will await you with complimentary milk, tea and coffee. 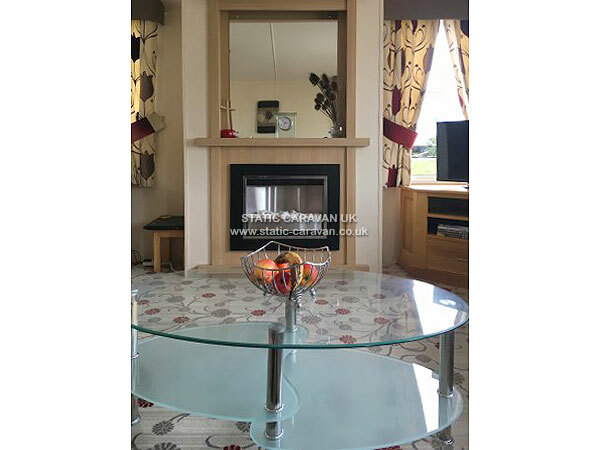 Adjacent to the kitchen is the dining area which is by the comfortable lounge which has two settees, TV with CD/DVD player and electric fire. 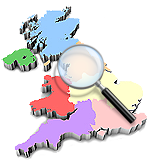 There are DVDs, books, games and literature on local attractions for your use. From the lounge there are panoramic views of both the distant countryside and the beautiful Swanage Bay which is a sight to be remembered at both sunrise and sunset. The site is close by a lovely nature reserve. 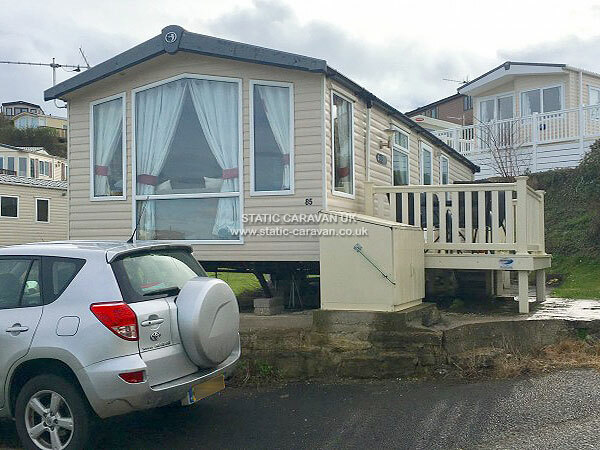 Outside the caravan there is a verandah which again gives the countryside and Swanage Bay views. A table and chairs with sun umbrella are there for the warm relaxing evenings and a glass of wine whilst enjoying your own menu from a small, portable barbecue which is ideal for the beach. 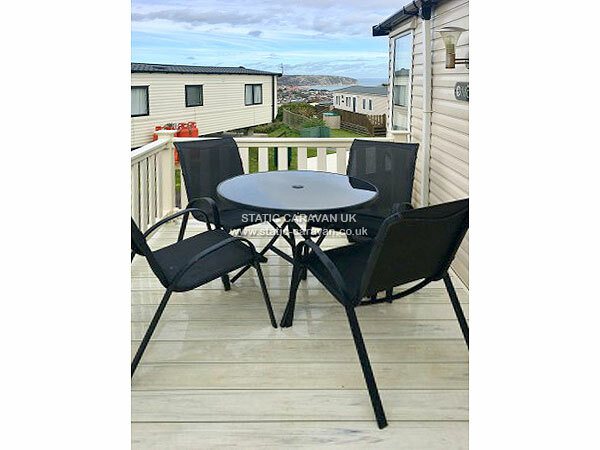 There are loungers and fold up chairs for sitting out in the small garden and patio area and in the outside storage unit there is beach equipment for your use. 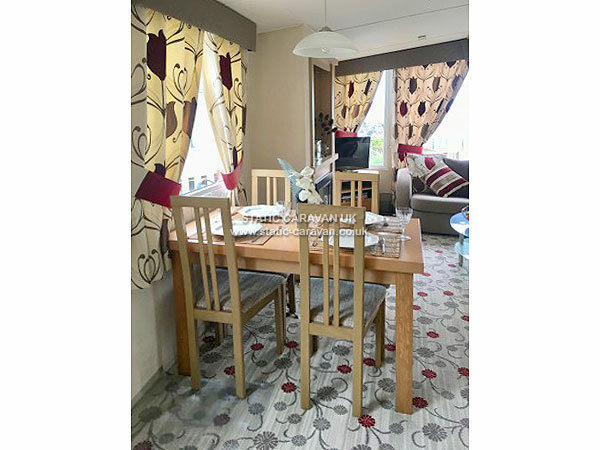 We hope that there is everything for a comfortable stay at our holiday home. 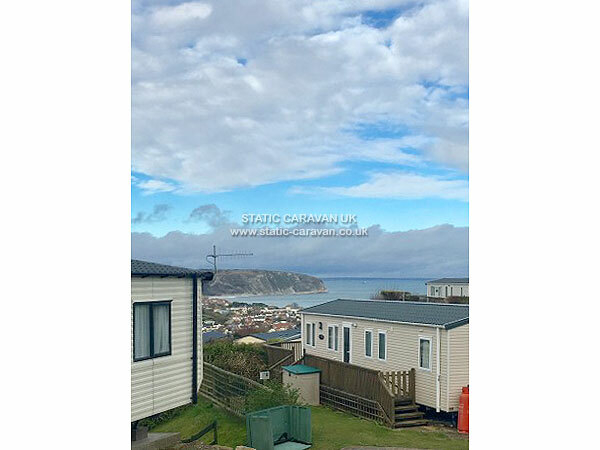 Swanage Bay View is an excellent site with many caravans in elevated positions giving lovely views. There is a ‘club’ house which houses the helpful reception team, Costa Coffee and a bar which does meals and snacks and seasonal children’s entertainment. There is free WiFi in the bar/reception area only. The indoor heated swimming pool and adjacent gym are there for your use at a cost payable at reception. A laundrette is available on site and there are plenty of waste wheelie bins. On the adjacent caravan park there is a children’s play area. Close by the site there is a Costcutters convenience store which is very well stocked. Locally the lovely sandy beaches of Swanage Bay are about a mile away. At the other end of the sea front there is the Victorian pier and nearby there is a heritage museum. In town there are numerous restaurants and small shops to potter around with the only large shops being a Budgens and a Co-op. In the local area there is the delightful village of Corfe Castle which has an interesting model village as well as the National Trust’s castle. Try the historic steam train from Swanage to Corfe and for a change there may be no need to drive! Other local attractions are Studland Bay, the Blue Pool, Wareham,the Tank Museum, Durleston Country Park (which can be reached by a 1-2 mile walk from the path about 50 yards from our caravan), Poole and the renowned Sandbanks which can be reached by ferry near Studland. There is so much more but you can discover that for yourselves!!! 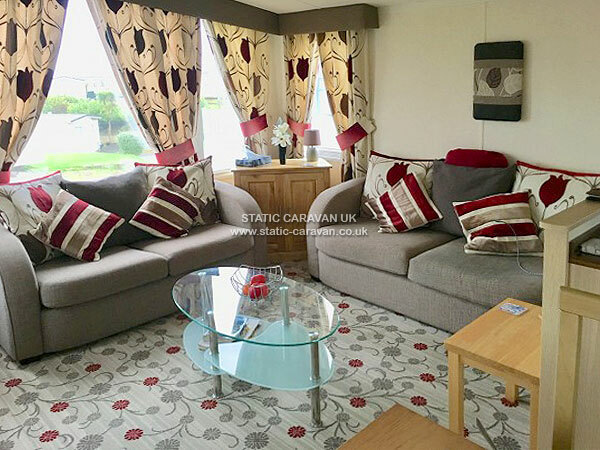 We know that our caravan will be an excellent base for your holiday in the Swanage area and hope that you will enjoy it as much as we do. Our bookings are for a minimum of 7 days during peak periods including high season and for other times we will be happy to give a rate for a minimum of 4 days on request. If the booking sheet offers more than your required period please contact us to ask the rate for the period that you would like. You will need to provide your own towels and bed linen being under sheets, pillow cases and duvet covers for single and double duvets. At an extra cost of £8 per person we are able to provide all linen other than towels. 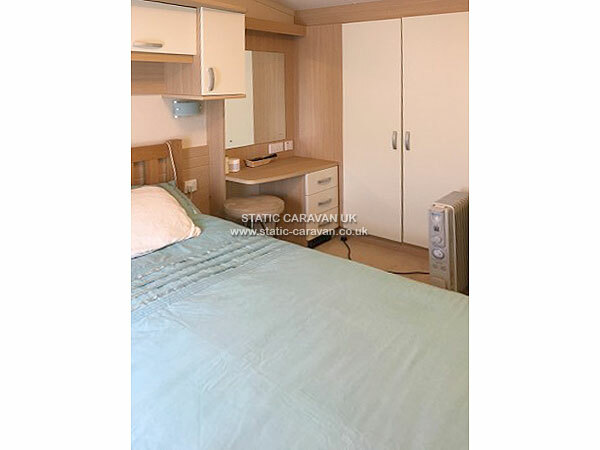 A non-refundable deposit of 20% is payable on booking with the balance due 6 weeks before arrival. Payment can be made by BACS or PayPal. Check in not earlier than 3pm. Departure by 11am.